Skating expert Hannah Robbins discusses the subjective nature of the Program Components Score in figure skating and how judges have changed the results with personal preferences. During the 2018 Winter Olympics Ladies Free Program, something happened that I had never seen before in figure skating. 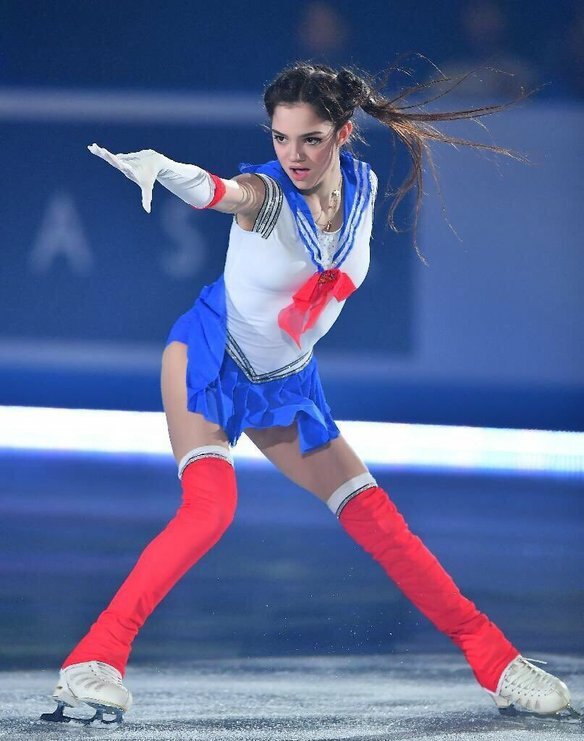 Evgenia Medvedeva and Alina Zagitova tied for first place in the free program. I have never seen a tie in figure skating. The scoring system has so many intricate parts that it seems that the scores are always tenths, maybe even hundredths of points off. How could a tie happen? Easy: Medvedeva earned the highest Program Components Score (PCS) while Zagitova had the highest Technical Elements Score (TES). Or is it? When one actually examines the way these scores work, it isn’t as simple as Medvedeva performing her program better, which some (myself included) believe she did, but a systematic bias that can be hidden within the PCS score. On a surface level, there might be nothing wrong with a higher PCS score for skaters that have been around longer. A skater should be rewarded for learning how to hone their skating ability and make movements crisp, clean and full (imagine a runner finally learning to perfect their stride, a dancer managing a triple turn); that is what the PCS score is about. PCS has judges rate skaters from one to 10 for five different areas: their ability to fully move while skating and maintaining clean edges, called skating skills, their performance of their program, how well the program is composed, how well the skater interprets the music and the quality of transitions between different elements in their programs. This seems simple enough. A judge watches the program and depending on how they subjectively enjoy it, they rate it. However, it’s not just based on the program in front of them that judges rate their scores. Take Zagitova’s 2017-2018 season. In her first performance on an international stage, the Grand Prix China, her PCS score was 68.35 points. A good score — enough to win her the gold medal. Now fast forward to the Olympics a mere three months later. Her PCS score jumped almost seven points to 75.05. Did Zagitova get that much better at skating skills or performance? Let’s give her the benefit of the doubt. A single data point isn’t a conclusion. Let’s compare it to another skater who started at the same time as Zagitova but didn’t win every event she entered: Kaori Sakamoto. Sakamoto scored a respectable 63.66 points in her PCS for her first senior event, the Grand Prix Russia, where she placed fifth. Skip forward three months and she earns a PCS of 68.11 points at the Olympics, an increase of four and a half points. Zagitova had almost double the increase in PCS over the same amount of time. It’s not like either of the skaters had different TES between competitions; both had less than a point difference, so there has to be something more at play: the PCS score is used as a reputation score. Skaters with more international and national recognition will get higher PCS scores. If the judges want you to do well, they will bump up your score. Not a ton, but when Zagitova beat Medvedeva by 1.31 points in the Olympics, three points might as well be 20, especially since Medvedeva only had her PCS score increase by 1.36 points over the course of the season (four points less than the bump Kaetlyn Osmond, another seasoned skater, received). This bias isn’t limited to international events; it plays a large part in national championships as well. Take for example the U.S. Nationals last season. National championships are notorious for inflating PCS scores. It is not uncommon to see skater’s PCS scores go up by five or more points. That made what happened in the ladies’ competition so interesting: the PCS bump wasn’t there for one skater — Ashley Wagner. Unlike Bradie Tennell, the winner of U.S. Nationals whose PCS bump was 5.30 points or silver medalist Mirai Nagasu with a 6.96 point bump, Ashley Wagner gained a mere 0.50 points. That doesn’t line up with her fellow competitors or her results in years past, and she spoke out, stating that the judges were biased against her and didn’t want her to make it to the Olympics. Wagner’s fourth place finish left her in the first alternate spot for the U.S. team by 2.40 points, a margin she would have surpassed if she would have received the normal Nationals PCS bump. In the end, Medvedeva would have won if not for Zagitova’s unusually high increase in PCS score. Wagner would have been at the Olympics, and maybe the U.S. ladies would not have placed between ninth and 11th place in Pyeongchang. PCS is the score that hides the biases that should not be present in figure skating. Judges should score the program in front of them, not the history they have with a skater. Unless something changes, it will be a long time before skaters have a slate as clean as the ice they skate on.